Dial loops in multiples of 4 + 3 + 2 loops. 1st row (external side): chrome. loop, knit purl, chrome. a loop. 2nd row (front side): chrome. loop, * knit 3 of 3, 1 person., repeat from * to last. 4 loops, knit 3 of 3, chrome. a loop. 3rd row: chrome. loop, knit purl, chrome. a loop. 4th row: chrome. loop, 2 faces., * knit 3 of 3, 1 faces., repeat from * to the last. 2 loops, 1 person., Chrome. a loop. Knitted in a multiple of 4 + 3 + 2st. 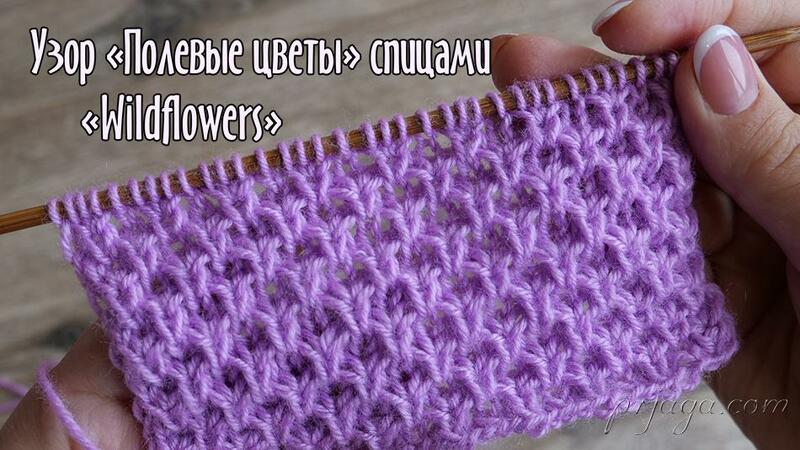 Row 1 (WS): edge stitch, purl stiches, edge stitch. Row 2 (RS): edge stitch, * Knit 3 of 3, knit 1, repeat from * to last 4 st, Knit 3 of 3, edge stitch. Row 3: edge stitch, purl stiches, edge stitch. 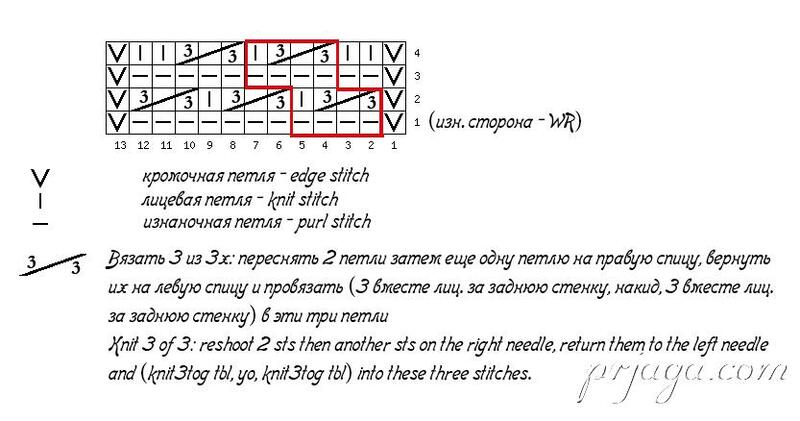 Row 4: edge stitch, * knit 1, Knit 3 of 3, repeat from * to last 2 st, Knit 1, edge stitch.